CURVE, Pa. - After an early lead disappeared, the Altoona Curve bounced back with three runs in the ninth to beat the Bowie Baysox, 6-3, on Saturday for a second straight last at-bat victory at Prince George's Stadium. The Curve's (77-59) first three batters bunted to start the ninth inning to generate one run before Bryan Reynolds tripled home two more. Alfredo Reyes led off the inning with a bunt single and was moved over by Cole Tucker , who reached safely on a fielder's choice after he laid down a bunt. When Stephen Alemais dropped down the third straight bunt, the Baysox (66-70) committed their fourth error of the game to break a 3-3 tie. Bowie Third baseman Anderson Feliz's throw to first base was off target and allowed Reyes to score from second. Will Craig drove in the game's first run and became the second player in team history to reach 100 RBIs in a single season, joining Adam Hyzdu's team record 106 during the 2000 campaign. Reynolds walked with two outs in the first inning and scored all the way from first when Craig lined his 28th double of the year deep into the left field corner. Eduardo Vera fired six scoreless innings in his final start of the regular season with six strikeouts. Vera closed the regular season on a scoreless streak of 19.1 innings over his final three starts, the longest by any Curve pitcher in 2018. Vera's scoreless run was in jeopardy after a one-out triple by Erick Salcedo in the third inning. With a 1-1 count against the next batter Ryan McKenna, the game went into a rain delay for 30 minutes. Vera returned after the delay and struck out McKenna and induced a groundout to first by Corban Joseph to strand Salcedo at third. 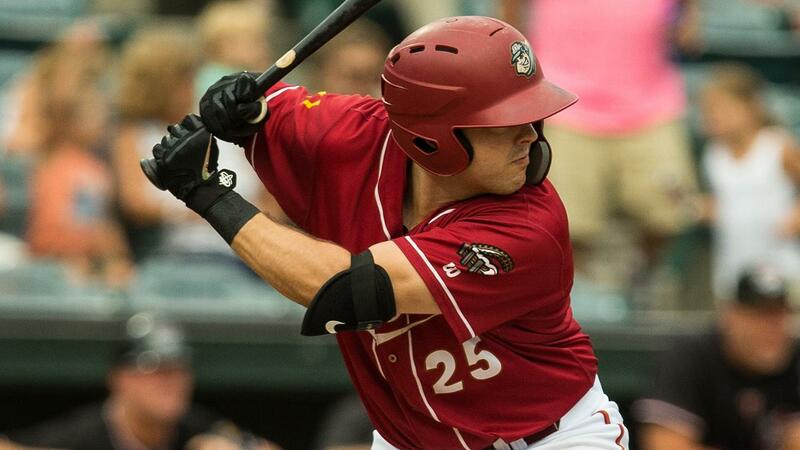 Three consecutive hits led to two runs for the Curve in the sixth inning. After back-to-back singles with one out by Craig and Jin-De Jhang , Logan Hill socked an RBI double to the warning track in center field. Jhang scored from third two hitters later on a wild pitch to push the Curve lead to 3-0. Bowie needed one swing to pull even with the Curve in the seventh when Martin Cervenka blasted a three-run, game-tying homer off Elvis Escobar (Win, 1-0). Escobar recorded two outs in the inning with two runners on but his first pitch to Cervenka was launched over the left-center wall. Escobar returned for the eighth and worked a scoreless frame with two more strikeouts. Over his 4.1 innings since rejoining Altoona's roster, Escobar has racked up eight strikeouts. Geoff Hartlieb (Save, 10) allowed a lead-off single to Yusniel Diaz in the ninth but struck out Anderson Feliz before a double play ended the game. The Curve and Baysox continue the series on Sunday afternoon. Right-hander Logan Sendelbach (4-3, 4.30) will start for the Curve with lefty Bruce Zimmerman (2-2, 3.32) taking the hill for the Baysox. First pitch is scheduled for 1:35 p.m. at Prince George's Stadium. With a win by the Akron RubberDucks on Saturday, the Curve can clinch the Western Division title with a win or an Akron loss on Sunday. The RubberDucks play a 6:05 p.m. in Erie on Sunday.